Disruptive Innovator: Parking Lots, Bins, Tables, and WVTTK? In a Previous Post, I struggled with my temptation to answer Tridion questions in the middle of business analyst and foundation training. But this week's training session went smoother as I followed a mentor's recommendation to use a "parking lot" list. This phrase is a metaphor where questions are vehicles. When the answer would take too long, put the answer in a spot to get it later--a "parking lot," if you will. Read this nice discussion on other phrases you could use instead including WVTTK. Do you know the pressing concerns of new SDL Tridion retail customers? Here's a sampling of questions and answers from the community. How can we integrate our Product Information Management (PIM) System with SDL Tridion? First read the PIM-and-Tridion architectural overview from Julian Wraith. If you understand the differences between Content Manager (CM), publish, and CD integration, then you know how to solve any Tridion integration. For a CM example, see an approach from Bart Koopman using the SDL Tridion 2013 External Content Library feature to integrate with images and products in a PIM. For a publish perspective, read thoughts from Product Manager, Nuno Linhares, on what you can do during publishing. For a CD integration, possibly look at how you're managing front-end integrations now. It's no different with Tridion, you only need to put enough items in Tridion to give authors the right amount of control. See my post on how such an integration might look. How do we control the placement of content on a Tridion page? Will the Experience Manager Inline editing feature work with our MVC site? 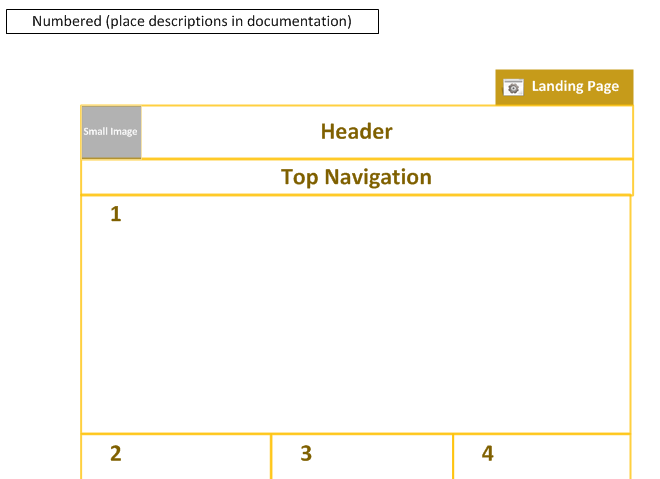 Page templates can place content types (component presentations) on pages based on schema, template, order on the page, and possibly component fields (please don't abuse this). If you're not using SDL Tridion Modular Templating, consider implementing configurable regions as seen in Nuno's example. But if you are using DWT, look at this Tridion "Cookbook" recipe for DWT functions. If on SDL Tridion 2013 SP1, be sure to use the latest tags, which now include start and end options for more flexibility. When should we choose dynamic component presentations? 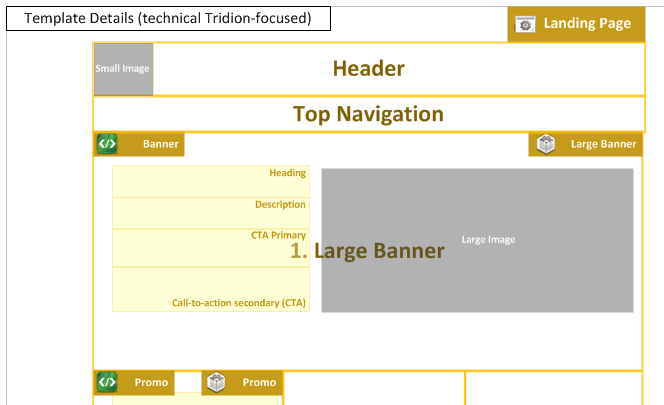 Tridion pages have content (components) rendered or presented in a certain way (e.g. summary, link, or detail versions). There's a template setting that lets these component presentations to be included in the published page's markup, or included dynamically as references. Don't assume dynamic is better, read Will Price's post to learn how to choose. Should our logo, header, footer links, and buttons also be in Tridion components? It depends, but my and others' preferences are to use "system labels," "configuration components," or maybe publication metadata for such global items. Basically if you're dealing with "templated text" such as "buy now!" definitely have your templates place this content, but don't put a "buy now!" field in regular content fields. See an excellent write-up by John Winter for how to make this work. An older best practice is using "key-value" type setups, but be careful in multi-lingual setups. If you localize a key-value component for translation, you've lost the guarantee that the local versions have the same number or even type of fields (keys). Are there examples of BluePrinting? Former colleague and Tridion thought leader Manuel Garrido describes some of the latest best BluePrinting practices. You'll see these thoughts reflected in the BA certification exam and some other successful customers. I also add BluePrinting examples and considerations. Read the posts that might apply to your setup at your leisure. When you resize an image in a rich text format (rtf) area, is the published version still the same as the original? Also, would our DAM (digital asset management) system work with Tridion? First, if your DAM already does resizing and if it has a delivery options (e.g. CDN), just use that. No need to resize images in Tridion if you already have the feature. To generate different sized images during publish see this post from Mihai Cadariu or the question on StackOverflow. I accidentally navigated away from the page I just made in Experience Manager. How do I find it? If possible, navigate to it in the site though you might need to update the navigation. It's a bit more manual for a "stand-alone" page; use the filename and extension to enter it manually. For example, if you have NewPage under the home or root structure group, use your website's url in the browser's address bar followed by NewPage and then the page template's extension (typically .htm, .html, .aspx, or .jsp). If this doesn't work for you, consider Bart Koopman's View in Staging/Live extension. Also, if doing workflow, I asked for good options to give non-authors the same ability to go from a Tridion item to its page on the site in this question. Can we control how paste works with Tridion? We want to strip non-HTML Microsoft Office tags and attributes when pasting into rich text format areas. Yes, authors can choose "paste as text" or "remove styles" to remove everything. You can also control this per-field with some code (XSLT filter) in the schema definition. See another example from Chris Mills. This could apply to many rich text fields if you re-use an embedded set of fields, otherwise consider a global XSLT option across the CMS in UIBeard's post. Any thoughts on how we can standardize module or schema names? Google, Microsoft, Yahoo, and Yandex have suggested definitions on schema.org. Please don't make huge schemas matching everything there, though. Pick and choose and make your content forms practical for your authors. You'll really want to communicate across teams to get to the same language. See Frank M. Taylor's set of "default" schemas for another example. I'd recommend starting with names that make people shake their heads in agreement. We want a blog (or we have an existing blog). How should we integrate with Tridion? Because of business priorities and how easy an existing blog is to keep running (it's literally a setup with just one schema), this might be an easy change, but take forever to implement. Read my thoughts on how to do blogging with Tridion in this post. If using Tridion to create the blog, consider the UGC module. Do you have examples of a Functional Design and the Content Modeling (Page Type and Content Type) diagrams? In training I can get you an example outline, but all the details and examples are in the slides. Here are the three basic styles depending on your audience and preferences. I used to use the first, very detailed Tridion-focused option but now use just labels or numbers with the details below. The page and content types should be conceptual. You'll add the details through schema definitions and template behavior. Possibly useful after the content model is created and refined, this type of diagram is rather Tridion-specific and might be hard to understand for those reading about the project for the first time in the Functional Design. A good balance of detail. We just need to know the content types, basically what's managed regardless of where it'll eventually live (in Tridion or elsewhere). 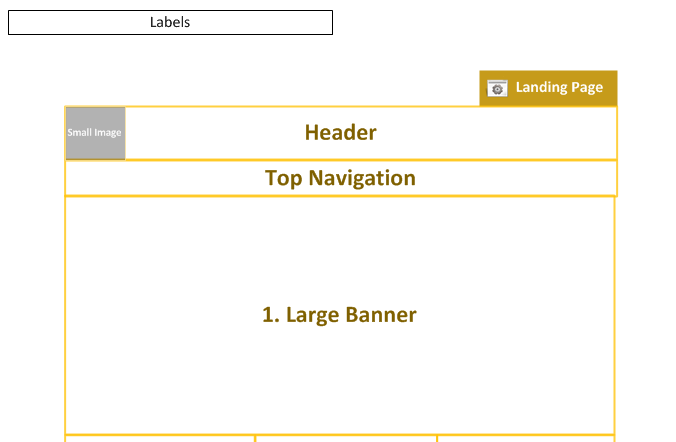 For a mock-up or wireframe you don't want to interfere with, just user numbers. The entire process is described in the Content Modeling training. Just be sure to add additional details in your documentation below each diagram along with wireframes, mockups, or screenshots. As a contrast, see my post for another method for interpreting a page in Tridion. You'll likely end up with the same results, but remember to test your content forms (schemas) with the business and authors. SDL Tridion World is the "official" SDL community website for Tridion. All other links are not owned by SDL. But the community is looking to compete to give you the best answers to your questions on http://tridion.stackexchange.com, an independent Q&A site.